There are usually many options worth considering when buying a home. It all depends on what you’re looking for—whether it’s a newer family home, an old-fashioned townhouse, a fixer-upper, or anything in between. But there’s another important factor in play: your level of knowledge about the home’s condition. At Custom Inspections, we offer comprehensive home inspections that can be customized to meet your needs and will help to ensure that your future home doesn’t fall short of your expectations. When you check out our wide selection of inspection services, do you not see exactly what you’re looking for? No problem! Part of what sets our company apart is our willingness to be flexible to your needs by providing custom inspections. Just give us a call, and we’ll figure it out—if for some reason we’re not able to do the job ourselves, we’ll get you in touch with a vetted professional who can! Within 24 hours of a home inspection, our customers will be emailed an itemized report of our findings. 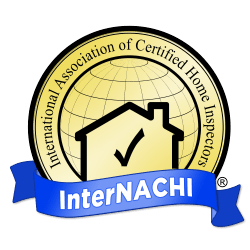 Our inspection reports are honest and informative, thoroughly summarizing each inspected area of the home without downplaying or exaggerating any issues we discovered. Photographs and video clips are included wherever they may prove to be beneficial for conveying how a defective component impacts the home’s overall condition. We also feature access to the cutting-edge Create Request List™ (CRL)™ feature by HomeGauge. We offer professional home inspections to areas of Southwest Missouri, including: Joplin, Neosho, Carthage, Webb City, Carl Junction, Seneca, Monett, Anderson, Pineville, and Cassville. Custom Inspections offers a prompt and professional home inspection service that will help you feel at ease with your home-buying decision. Contact us today to request an inspection. Appointments can be scheduled 7 days a week. Home inspections start at just $240. We offer military discounts as well as package deal discounts. Contact us for more information.